With the adoption of iOS 5 being relatively high and growing rapidly, most new tweaks which hit the Cydia store have the latest major release of iOS as a firmware dependency before installation can be allowed. 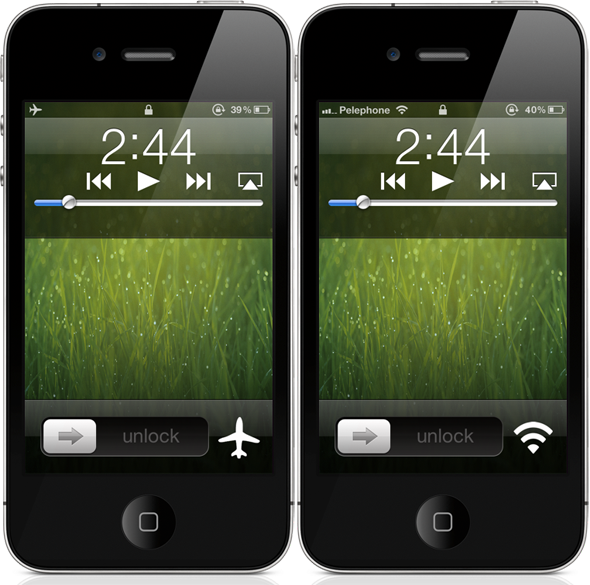 The SwipeCam tweak by developer Ron Melkhior that has been released in the last day or so is no different, and offers iOS 5 users the ability to gain access to a few different system toggles through the use of a swipe gesture. SwipeCam is a tweak that essentially allows users to control their device’s system settings in a faster way by taking a native feature of iOS and build additional behaviors upon it. A number of different offerings have already been proven popular with users, which offer quick access to different settings, with SwipeCam being another one of them, but aims to take away a few users in the community by taking on a different and unique approach. By double tapping the Home button on the device, a camera icon appears that Apple created to allow quick access to the device’s camera. SwipeCam hooks into this and extends the functions by adding a swipe gesture recognizer to the icon, which, when swiped changes the icon and displays different functions to be initiated. At the time of writing, the initial version of SwipeCam offers only two alternative uses for the camera button – toggle Airplane mode and Wi-Fi on or off. A quick swipe of the icon changes the button to reflect the new function and when tapped; it takes the user directly to that part of iOS. The developer has announced plans to add some additional options in the future such as access to Location Services, Brightness and the device’s power options, meaning that the tweak will ultimately become an SBSettings-esque tweak that is launched from a single icon on the lockscreen. SwipeCam is available from the BigBoss repository for a charge of $1.49 and requires iOS 5.0 or above.